The word Tsum is derived from Tibetan word, Tsombo, which literally mean bright ( vivid). Traditionally Tsum Valley was culturally district geographical area called Tsum Tso Chucksums, which means thirteen provinces ruled as a single territory. A beautiful trails that is just newly opened virgin trail. Crossing through beautiful villages, entering into restricted area with special permit takes you to the heart of cultural and traditional hub, where you will see the real and true image of ancient habitant is untouched by outer world. Chumchet and Chhekampar are one of the most remote village development committees in Gorkha District so Development of infrastructures are very low. This hidden valley is surrounded by Mountains as, Boudha Himal, Himal Chuli, Ganesh Himal and Sringi Himal. The people of this area still practice polyandry system and they have unique culture, tradition and their own tongue. Many Tsumbas (Resident of Tsum Valley) report that they have seen or found the signs of Methi, commonly referred as the Yeti or Abominable Snowman. This area is just opened by October 2007. Day 1: Arrival in Kathmandu Arrival in Kathmandu Tribhuvan International Airport. You will be met at the airport by our representative who will be waiting with a Swiss Family Treks sign outside the terminal and transfer to Hotel by private car. Welcome drink and after you settle into the hotel there will be a group briefing with your tour leader. 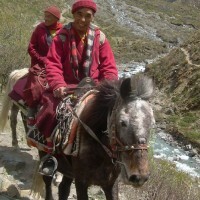 He will discuss the trek details and co-ordinate any last minute arrangements. Stay overnight at Hotel. Continue up and down over a couple of ridges to Tatopani (930m; ‘hot water’) where there are hot water spouts under the sheer cliffs that provide a delightful evening shower. Climb over a ridge and cross the Buri Gandaki on a rickety suspension bridge, climb on well made marble stairs in the narrow valley for some time and through Doban (1000m; Duvan). Shyaule Bhatti 1hr later has large rock with views where you can take tea and look at the wild gorges ahead. After crossing a landslip and the bridge across the Yaru Khola (1363m), emerge onto river flats for lunch at Yaru (1140m) at the Sandbar Hotel. Look downstream at the massive rock fall that chokes the river. Just past Yaru, cross to the left bank and enjoy easy up and down to Jagat (1410m), a neatly Flag stoned Gurung village where Jagat (‘tax’) is collected on Tibetan trade. There’s a small lodge here and you will need to show your MCAP permit. In this area, potato, maize and climbing beans are all planted at the same time — the potato for food and to suppress weeds, the maize for food and to supply a trellis for the beans, which are an important source of protein. Marijuana is a major weed problem. 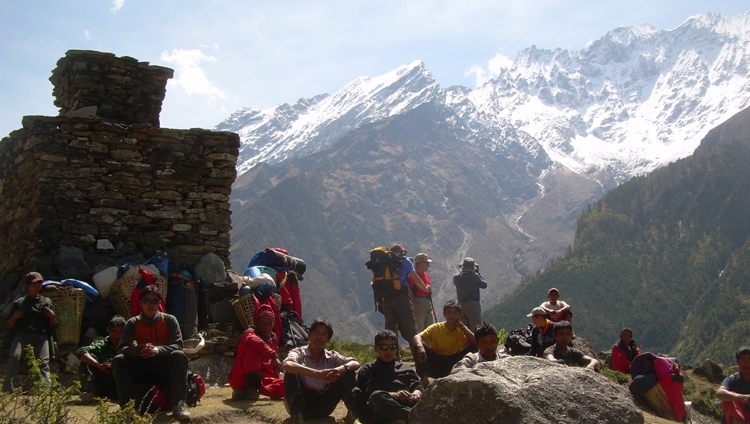 Walk up the riverbed then climb over a rocky ridge to Salleri (1440m) with views of Sringi Himal (7187m). Stay overnight at Lodge. Morning descend to Sirdibas (1430m; Setibas, Tara) where there is said to be a lodge. You’ll see your first signs of Buddhist culture here. Continue up-river on the left bank, up and down before crossing Nepal's longest suspension bridge to the east bank and a tiring climb up to prosperous Philim (1590m; Dodang) surrounded by rich fields of maize, potato and millet. If you are not taking the Tsum Valley side-trip then today you will continue on to Ghap towards the Larkya-La. Traverse north out of Philim on the obvious track signposted to the Larkya-La, through some pretty forest with views up the narrowing valley. After 1hr climbing enter the increasingly misnamed Ekle Bhatti (1600m; ‘lone teashop’) with at least six bhatti, then traverse high above a spectacular gorge, entering a largely uninhabited area of pine trees. Eventually drop to a trail junction going left to Ghap and right to the Tsum Valley. Climb on a well-graded but exposed track through pines and rhododendrons, looking down on the other trail across the river. If the slopes here have recently had their annual burn there is a real risk of stone fall from the cliffs above, especially if there are goats grazing. Climb on zigzag steps, increasingly exposed, and gain your first glimpses of the narrow lower Tsum Valley, very steep across the Shiar Khola which drains from the very top of the valley. 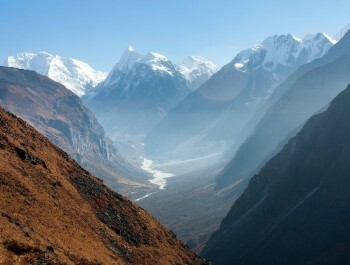 Across the Buri Gandaki is Himalchuli (7893m) above steep cliffs. Walk through a largely intact and peaceful temperate forest into Lokpa (2240m; Lakuwa), surrounded by barley fields, where there is a comfortable lodge, toilet. Stay overnight at Lodge. Descend through beautiful forest, crossing three side streams (one shown wrongly on the Map as Shiar Khola) on bridges, circle under a huge bluff on the river then climb steeply on well-made but exposed stairs. After about 30mins start to traverse north through pines and rhododendrons, still climbing and with very steep slopes. The hidden valley of Tsum stretches enticingly ahead. Eventually descend to a lone bhatti Ghumlong (2130m) on the river. The path straight ahead climbs steeply to Ripchet (2470m; Ripche) in about 1hr; the path to Chumling (2360m) crosses the Shiar Khola on a wooden bridge and up. It is not for those afraid of heights - several locals have fallen to their death from this track while drunk. Make sure you climb up to Chumling and check out the old gompa, the traditional houses, orchards, clinic and beautiful stone streets. This is Buddhist agriculture, with conical pine needle haystacks among the 4 prayer flags. From here on trails are lined with artistic chortens and mani walls made of thousands of stone slabs carved with deities and prayers. An easier day after yesterday, Cross the suspension bridge just east of the hotel and traverse through rich farming land of maize and potatoes. The houses are classic Tibetan with barricades of firewood on the roof, but without flat roofs as it rains and snows here. Cross a huge slip where rocks and flood cleared the area even up onto the opposite bank, killing five in 1999, but is now covered with a forest of new trees. Up the valley to the east are superb views of the 7000m Ganesh Himal, of long suspension bridges on the opposite bank, and far above the perched village of Ripchet (2468m). 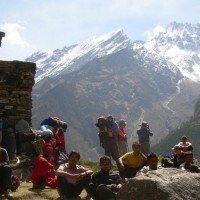 Lunch is possible at Rainjham (2400m), a single bhatti with enclosed courtyard. Cross the Serpu Khola and climb for 2.5hrs on well-graded but exposed track to upper Tsum and the large village of Chhokangparo (3010m), stone houses nestled under cliffs without a single iron roof. The valley opens here into spacious fields of barley, maize, buckwheat and potato, but wheat has been abandoned due to ‘hill bunt’, a disease which turns the heads black and causes total crop failure. Herds of Thar often graze the wild cliffs to the north, coming right down to the fields. If the air is clear Himalchuli (7893m) can be seen down valley. Stay overnight at Lodge. Most people can climb to 2800m without getting altitude sickness, but the altitude gain in these track notes above Chhokangparo exceeds the 200m per day suggested for safety. Watch for signs of altitude sickness and be prepared to rest or retreat if they emerge. Take time to explore the joined villages of Chhokang and Paro and climb north to a retreat where Lama Kongchog died after 26 years of meditation. His child reincarnation, found in the village, was subject of the award-winning DVD Unmistaken Child (available in Kathmandu). Thar are often sighted near here. 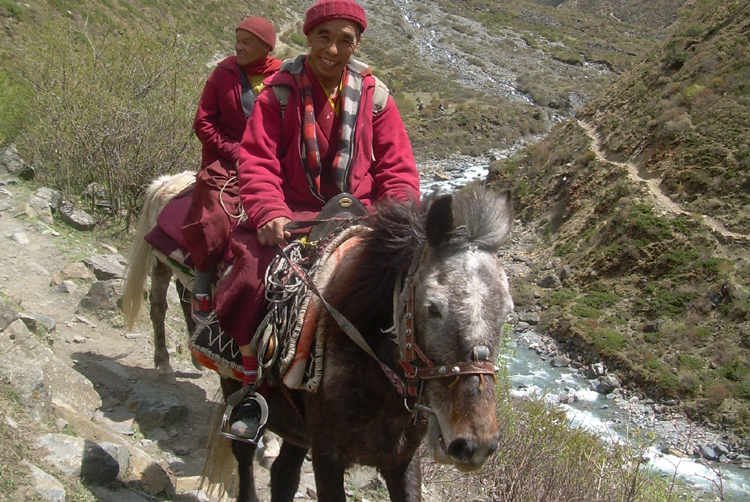 The friendly people speak Tsumba, related to Tibetan, but often little Nepali and are quite unused to visitors. Head east through small villages and past a local school, climb over a ridge of chortens and past Lamagaon (3202m) through the flat fields, looking across the extensive crops and river to the huge courtyard of the Rachen Gompa (3240m). This nunnery is the female equivalent of the main Kathmandu Kopan Monastery. Climb up and visit Milarepa’s Cave (Piren Phu), where the bringer of Buddhism to Tibe is reputed to have meditated. The cave is being extensively restored. Cross the Shiar Khola, pass through hamlets of Phurbe (3251m) and Pangdun (3258m) and pass an unusual round stupa before reaching the larger village of Chhule (3347m) through an impressive entrance gate (kani). The children here all wear the Tibetan dressing gown called chubas and there are many yaks. Head upstream to cross the bridge and climb to Nile (3361m; Nyile). Both villages are in traditional style with inclusion of livestock compounds into the houses and sheltered verandahs for drying crops. Stay overnight at Lodge. Leave your rucksack behind. Make an early start up valley on the west bank, enjoying sunrise on the narrowing valley walls, yaks being put to pasture and a day with just a light pack. The final climb up to the large Mu Gompa (3700m; Mugumba) is through dry Tibetan country, with rows of chortens and widening mountain vistas. This is a large monastery with over 100 monks and an ancient gompa visited by David Snellgrove (Himalayan Pilgrimage) in 1956. 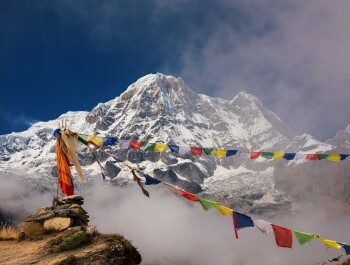 If time permits you can also visit Dhephyudoma Gompa (4000m) further west on an obvious track. 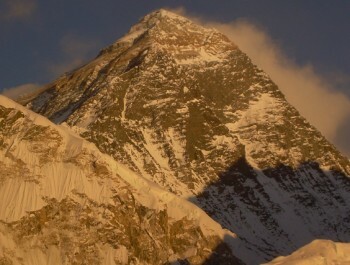 On three sides now are tantalizing views of the border with Tibet, with frequently used passes to the east (Ngula Dhojyang or Mailatasachin Pass, 5093m) and west (Thapla Bhanjyang, 5104m) just out of sight. Some people climb to Kalung (3820m). 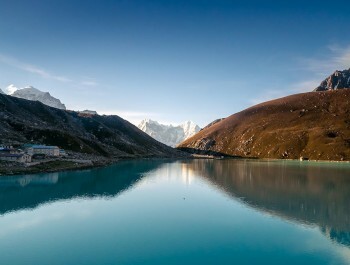 Making a daytrip to the passes for a view into Tibet. There are extensive seasonal yak pastures in all directions, the Lungdang Glacier to the east and high peaks in all directions. Return down valley through Chhule, collect your rucksack and continue down as far as Phurbe, but stay on the east bank of the Shiar Khola and cross flat boulder-covered plains to Rachen Gompa (3240m), where it is possible to inspect the ancient gompa if you want. Camping is also available. The older part of the nunnery is more interesting. Families in the Tsum usually have at least one family member as either a monk or a nun. Continue south until a bridge crosses to the west bank then descend again to Chhokangparo. Stay overnight at Lodge. Drop below Chhokangparo on the previous trail for about 2hrs, until a small gompa is reached at Gho (2485m). Descend on a narrow trail to the left through the village and drop to a wooden bridge over the Shiar Khola. Cross the bridge to Dhumje (2440m, Tumje) which has a Tibetan herbal medicine clinic and school. The track onwards climbs just behind the clinic. Climb very steeply on an indistinct track through pines and rhododendrons until the track starts traversing at a mani wall with prayer flags. The track is exposed and narrow. Finally, in the pine forest, take an uphill trail and make a steep zigzag climb through huge silver pines to reach Gumba Lungdang (3200m), perched on a ridge with small cells for the nuns through the beautiful rhododendrons above. This small gompa with 40 nuns has an intense and engrossing puja every night. The mountain views in all directions are amazing. Stay overnight at Monastery. This can be a taxing day so start early. Descend from Gumba Lungdang by the upward track. In Dumje cross the Laudang Khola and stay on the south bank of the Shiar Khola (contrary to the map). Climb over some very deep gorges and shaky cantilever bridges to picturesque Ripchet (2470m; Ripche). Take time to look around at this perched fertile valley of barley and buckwheat with evocative chortens in the fields backed by pine forest. Descend on steep stairs to the lone bhatti Ghumlong (2130m) on the river, which you passed through six days ago. Climb again through the pristine temperature forest to Lokpa (2240m). Stay overnight at Lodge. Another long day, continue from Lokpa down the exposed track until the track from Philim comes in from the left. Turn right, cross the Buri Gandaki on a solid bridge goes to Larke-La Pass but we follow the trail what we came before from Philim. Descend down to Sirdibas and we finally reach to Jagat. Further descend takes us to Yaruphant. The arid Tibetan climate now gives way to subtropical green vegetation. Continue trekking to Dobhan. Stay overnight at Lodge. Walk along the Burigandaki river to Tatopani, there is a hot spring at Tatopani. If interested, you may dip yourself in the hot spring and relax your tired muscles by soaking yourself in the hot spring. If not continue walking up and down from Tatopani to reach Khorlabesi, The trail crosses the Tharo Khola flowing in a rocky ravine. Head down again to the river and traverse to Machha Khola village. Walk along the Budhi Gandaki River to reach to Gurung village of Labubesi. Pass the two waterfalls on a steep rocky trail on the side of a cliff. We then reach Khursane. 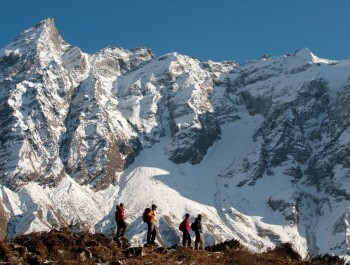 Walk along the ridge above Budhi Gandaki and cross the Sal forests. Finally, cross the bridge to arrive at Soti Khola. Stay overnight at Lodge. Drive back to Kathmandu by private land cruiser along the banks of the Marsyangdi and Trishuli rivers with splendid views of green hills, mountains, farming terraces and villages on both sides of the road and transfer to Hotel.